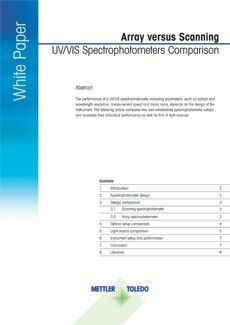 Wavelength accuracy and repeatability are key performance aspects of UV/VIS instruments. An accurate calibration of the wavelength axis is crucial for every application relying on a spectroscopic technique and is the basis for its use as a reliable analytical tool. 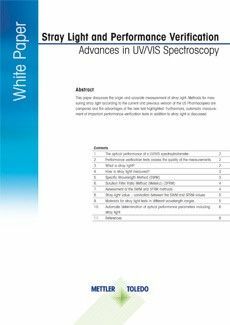 Wavelength aspects of UV/VIS spectrophotometers are discussed in this paper. 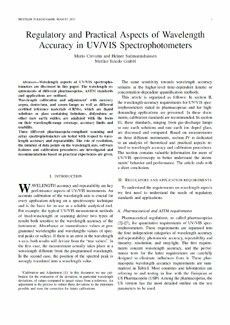 The wavelength requirements of different pharmacopeias, ASTM standards and applications are outlined. 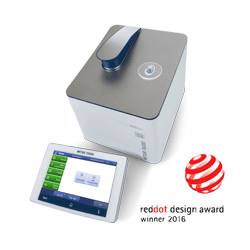 Wavelength calibration and adjustment1 with mercury argon, deuterium, and xenon lamps as well as different certified reference materials (CRMs), which are liquid solutions or glass containing holmium-, didymium- or other rare earth oxides, are analyzed with the focus on their wavelength-range coverage, accuracy limits and usability. 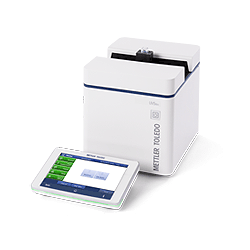 Three different pharmacopeia-compliant scanning and array spectrophotometers are tested with respect to wavelength accuracy and repeatability. 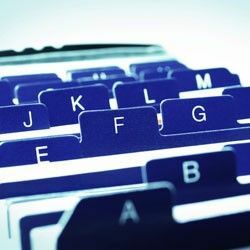 The role of resolution, the number of data points on the wavelength axis, software features and calibration procedures are investigated and recommendations based on practical experiences are given. 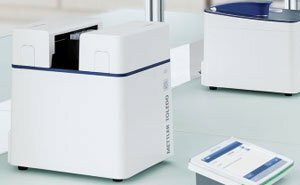 Learn about spectroscopy, spectrophotometers, industry specific applications, and much more.